You’ve heard it thousands of times before. But why is the location so important? If you find a house that you really love and fits in your budget, it shouldn’t really matter where it’s located — right? While it may not seem like it, the location of your new house can actually impact many different aspects of your life. 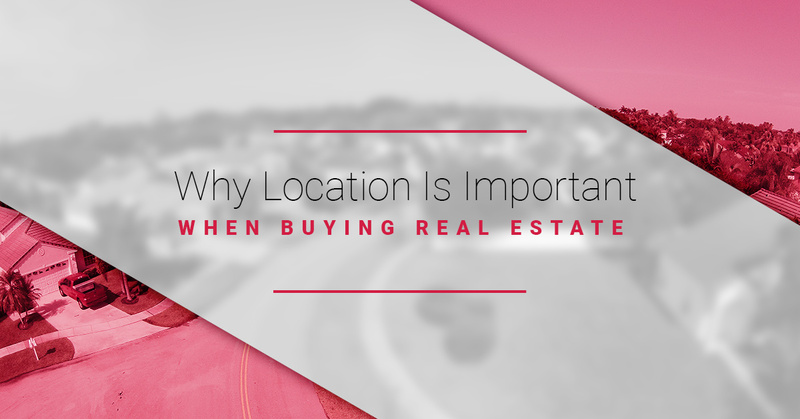 In this blog, we’ll identify a few of the top reasons why location is so important when buying new real estate. Need help finding homes for sale in Lake Mary? Gitta Sells & Associates has you covered. Our Keller Williams Heritage team has the experience and knowledge of the area necessary to help you choose the right location and turn your real estate dreams into a reality. Contact Gitta today for help and continue reading to learn all about location, location, location. The neighborhood should be one of the biggest deciding factors for you and your family when buying a new home. Not only do you want it to be a safe and welcoming environment, you also want to make sure it is in close proximity to the places that your family relies upon. Whether it be a grocery store, a medical center, or even a golf course, the neighborhood in which you live should reflect your lifestyle and hobbies. At Gitta Sells & Associates, we are happy to help people find the Lake Mary real estate that perfectly suits their lifestyle. When it comes to finding a new home, the location of the neighborhood should certainly be at the forefront of your mind. Think about it for a second. While you might find a home that you love and fits within your budget, do you really want to make a long commute every single day? Probably not. Finding a home that is within a reasonable range to your work, as well as one that is in close proximity to good schools for your children, can be a huge deciding factor on whether or not to buy that particular home. The average person moves once every seven years. With that being said, is this going to be your forever home? While you may very well intend for it to be, life always seems to find a way to disrupt plans. It’s important that you take a look at the demographics of the area and evaluate its room for growth. Maybe it is right in the hub of a new, hip development aimed at younger people. If that’s the case, it might make for a good investment and offer a nice resale value later on. But if it’s in an area that’s in decline, the opposite could be true. That’s why it’s so important to find a great location. At Gitta Sells & Associates, we have the knowledge and expertise necessary to help you find the right location. Whether you’re looking for a new construction home or a relatively established neighborhood, we can help you find the right Lake Mary real estate for your needs and lifestyle. You’ve heard before that finding good real estate is all about finding a good location. But why is the location so important? Read our blog to learn why you should know the area before you ever buy a home. Need help with finding Lake Mary real estate? Contact the professionals at Gitta Sells & Associates today.